Cannot be used with any other offer, including the 2 course promotion. Excluding the chateau brillint. Let the train take you on an exotic night out without actually leaving Islington as you enter Hoxley & Porter, a bar and restaurant which has been designed to look like an opulent train carriage. It's the latest venture from Costa Tofan whose other venues include The Betsy Smith in Kilburn, The Lansdowne in Primrose Hill, and The Winchester in Islington. As with The Betsy Smith, interiors have been created by Michaela Reysenn of Kai Design, combining elements of a Victorian gentlemen's club with "colonial Poirot, Egyptian noir and surrealist jungles". Cocktails created by Michael Pendergast, formerly at Powder Keg Diplomacy in Battersea, can be enjoyed in the train carriage bar. Or head to the Dining Carriage area, where leaded glass lets natural light flood through, for a modern British menu featuring traditional cuts of meat and fresh in-season vegetables. Signature dishes include cider-braised pork belly, pot roasted rabbit, and Saint Clements pie - a creamy dessert infused with tangy lemon and sweet oranges. 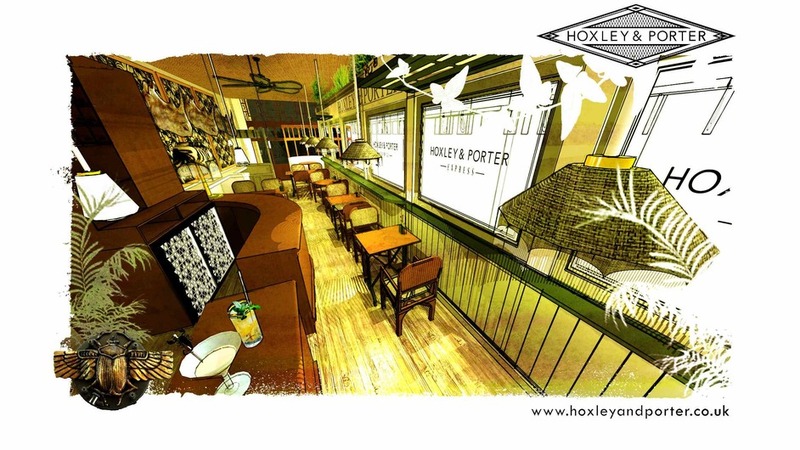 Hoxley & Porter clubs, bars, cabaret nights, casinos and interesting nightlife. What are the best dining options near Hoxley & Porter London? Hoxley & Porter gyms, sporting activities, health & beauty and fitness. The best pubs near London Hoxley & Porter. Where to have your meeting, conference, exhibition, private dining or training course near Hoxley & Porter. From cheap budget hotels to luxury 5 star suites see our special offers for Hoxley & Porter hotels, including Thistle City Barbican Hotel from 81% off.